There and Back Again: Clay, Chibi and Chinese Chess! So, I have started on a new project! This project is going to be a clearly defined one, with a set number of miniatures to produce. 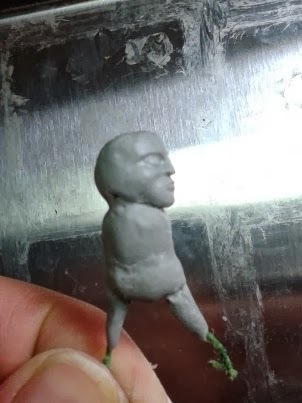 Now, the question is of course, why did I start a new sculpt while in the middle of another? Well, a few reasons, actually. Firstly, epoxy putty takes time to cure, so most sculptors using the material have more than one sculpt going at a time. Secondly, I have always liked the chibi style, especially the super deformed (SD) proportions. 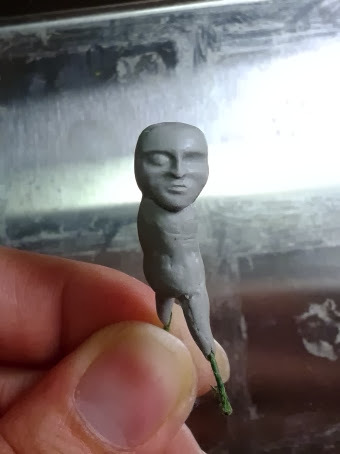 It was just that I couldn't think of what to sculpt. Then I thought about the games I would like to play with my children and realised that Xiang Qi or chinese chess would certainly be one of them. Finally, I have heard how polymer clay is a wonderful material to wprk with and have always wanted to try it. So this is a prime opportunity for me to work on this project. It will consist of 8 sculpts as there are 8 different types of pieces in chinese chess. It should have enough variety to keep me interested and enough work to exercise determination to finish. The reward at the end of it should be satisfying as I will get to play Xiang Qi with my kids eventually. It doesn't stick to armatures!?! I had to superglue a thin layer of clay to the armature before starting work on it. But clay blends into itself well and once the initial layer of clay sticks to the armature, it has been a pleasure working with it. It is a little different from working with epoxy putty, but the fundamentals of sculpting still apply. I find the greatest advantage clay offers is the infinite work time. Before baking, clay can be reworked and reworked. This helps when attempting to create symmetry without adding more material, which tends to happen for putty. Suffice to say, I am quitr happy playing with the new material.